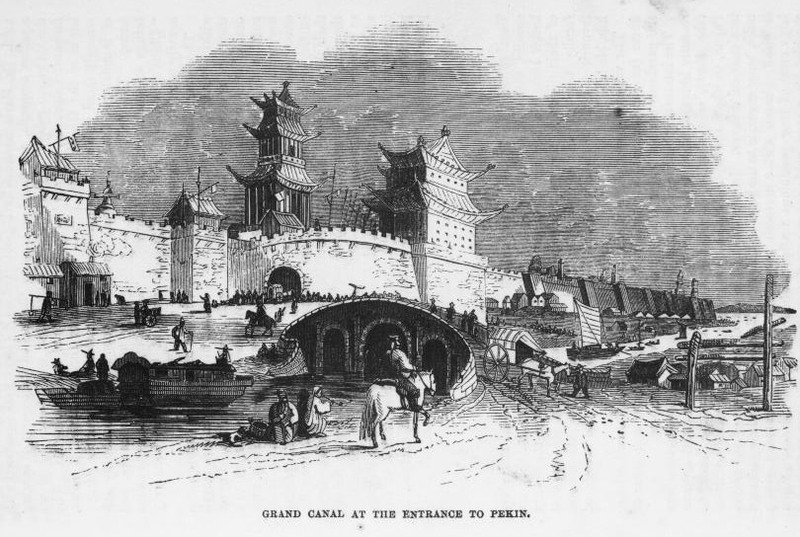 Vintage drawing of the Grand Canal in Peking. This black and white city drawing shows the traffic flow in and around the ancient city of Pekin. A great copyright free Asian city drawing that you could add to your next project and is in the public domain.